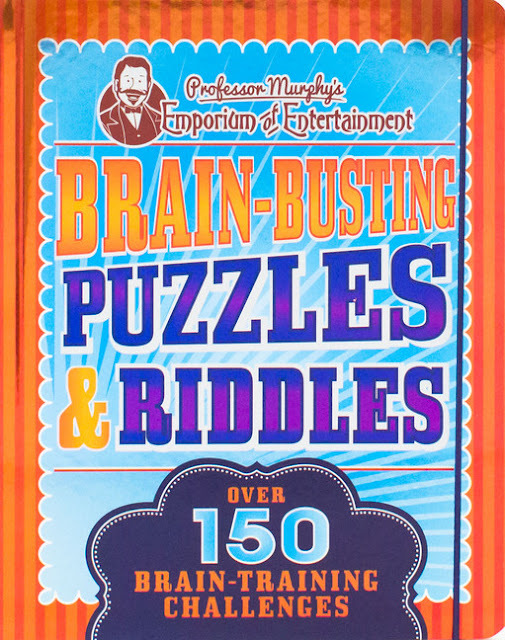 This book has so many puzzles and riddles to challenge your brain and then has an answer section for all of them. Some are classic puzzles and others are new to me. All of them have educational value and teach logic and reasoning. This is a fun book for those extras and down time. 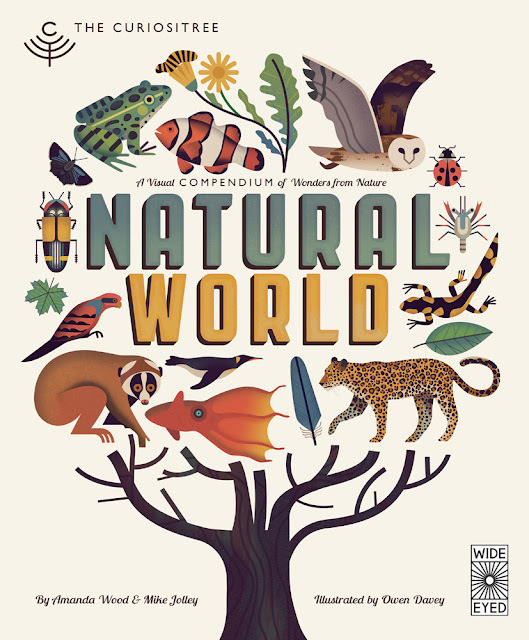 To begin learning about the living world let's start with Natural World by AJ Wood and Mike Jolley and illustrated by Owen Davey. 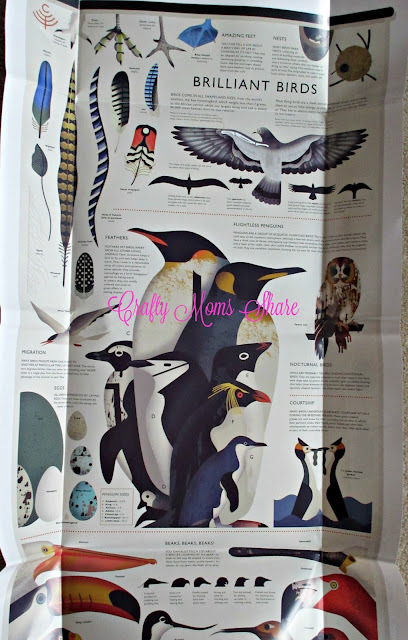 This beautiful book is packed full with information about animals and plants. It has 67 information charts and has symbols to lead you to another chart that is connected with this one. You can read the book from start to finish or open to a page and see where that time's adventure leads you. It covers so much information and is a complete reference for any classroom and home. The book cover unfolds into a poster as well. The poster gives you a great idea of all the information that the book has in it. Just looking at the book takes you on an adventure of the natural world! Our next book is a stencil book. 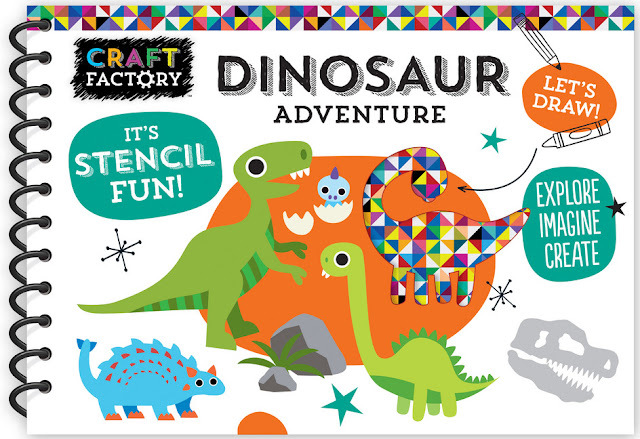 It is Craft Factory Dinosaur Adventure. 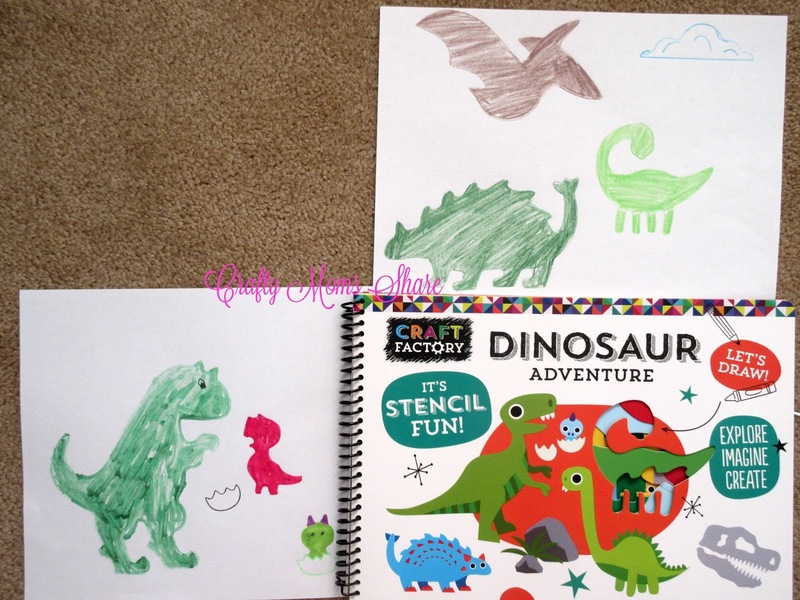 This book is pages of stencils to make dinosaur scenes. It has a page to put under any of the stencil pages with the paper on top of it so you have a hard surface to make use the stencil. This is a great craft book for anyone who is studying dinosaurs or just loves them! Next we will look at someone who improved how animals are studied. 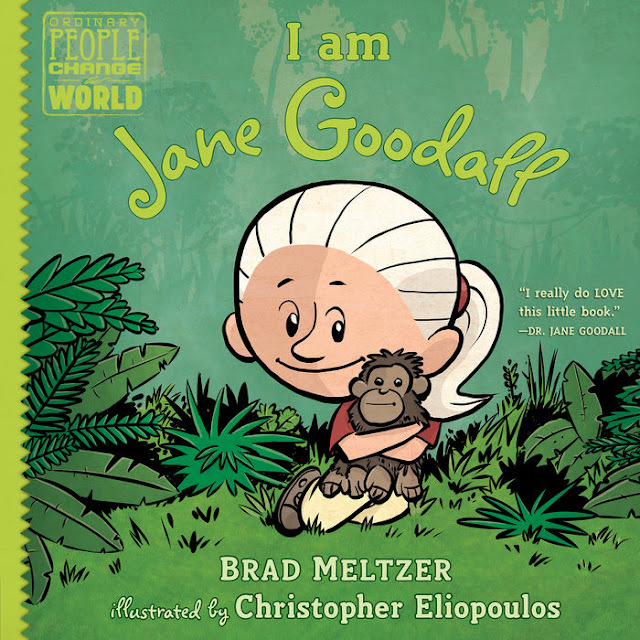 The book is I Am Jane Goodall by Brad Meltzer and illustrated by Christopher Eliopoulos. Now Hazel LOVES this series. She pulls her books out all the time to read to herself and often reads one to my parents for her nightly reading. She was so excited to get another one and to learn about another strong woman and one who loves animals!! She had not heard of Jane Goodall before so this was a fun book for her. Jane showed through patience and perseverance that animals could be watched closely and scientists could interact with the animals. She of course was studying chimpanzees. 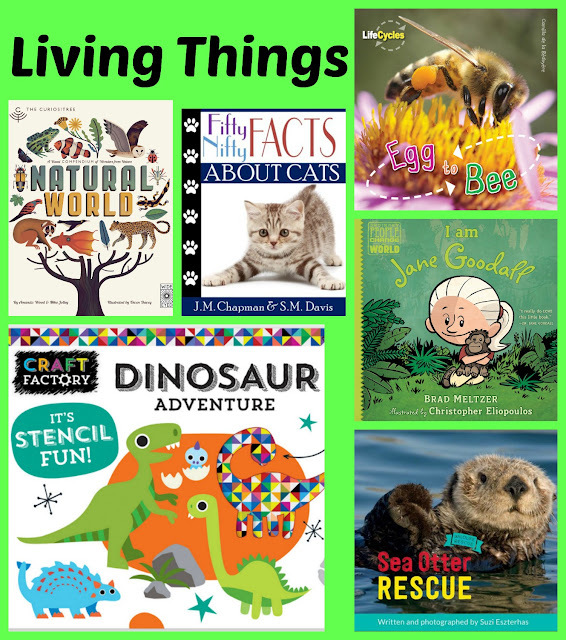 Like the other books in the Ordinary People Who Change the World Series this book is told in first person and has graphic like illustrations and tells the story of Jane Goodall's life based on research. Next we look at Egg to Bee by Camilla de la Bedoyere. 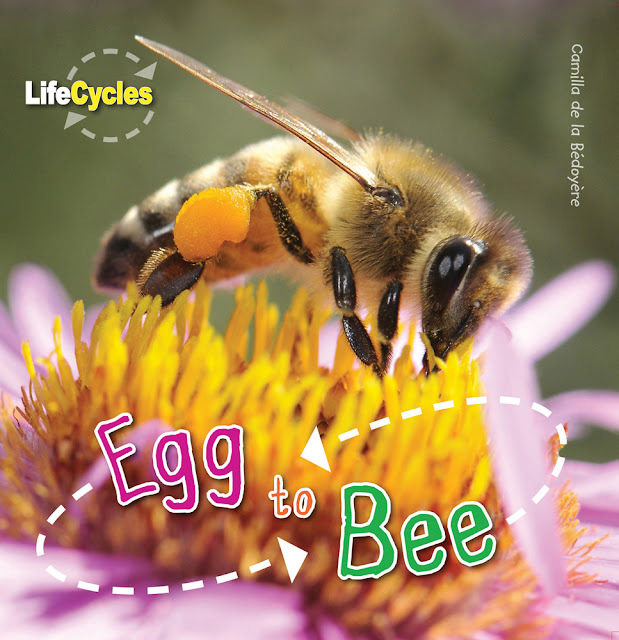 This is one book in a series called Life Cycles. This book tells the facts of the life of a bee. It goes through all the various jobs the bees have and how they live. It is a great introduction to the life of a bee in a simple direct way with amazing photographs. I have not seen any of the other books in the series, but if they are similar to this one they would be a great addition to any classroom library. 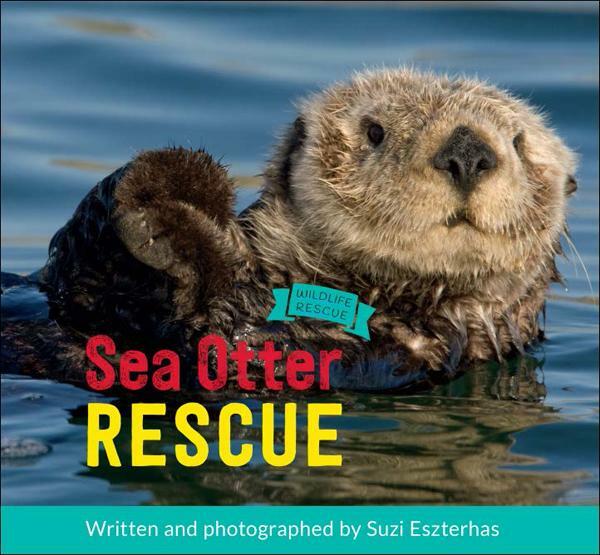 Our next book is Sea Otter Rescue by Suzi Eszterhas.This book has the most adorable photographs of these little cute animals. It talks about the sea otter's life and the Alaska SeaLife Center that rescues many of them when they become orphaned as pups. It describes the process necessary to help these young orphans and what happens to them once they become healthy again. It is a wonderful book and worth looking at just for the photos but the information is also great! 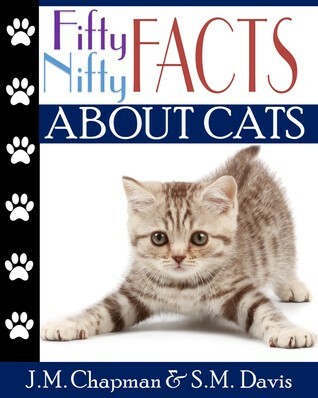 Next we look at some interesting facts about cats with Fifty Nifty Facts About Cats by J.M. Chapman and S.M. Davis. Along with adorable photographs this book shares interesting and useful facts about cats. Some of them I knew and others I did not. Did you know that cats favor a paw (males' the left and females' the right usually)? We really enjoyed learning a bit more about cats especially since we have two of them! Now we take a look at studying space. 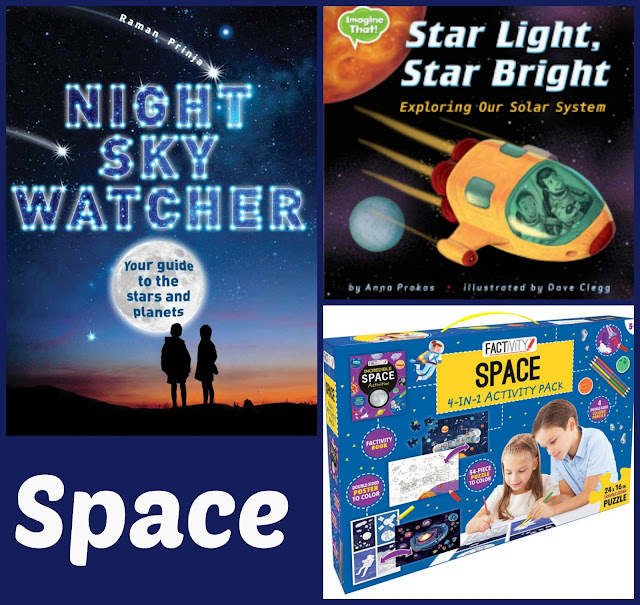 The first book is a must have for sky watcher. 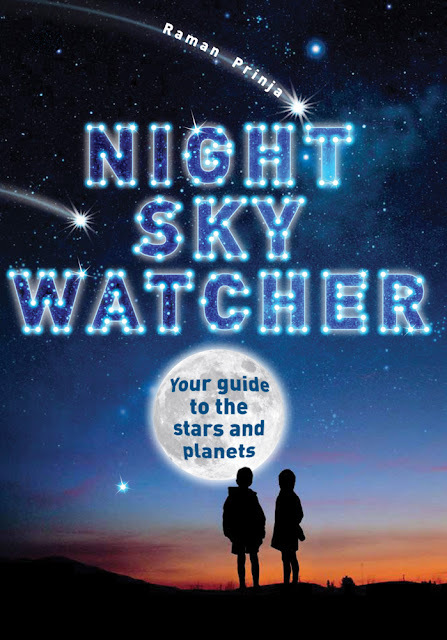 Night Sky Watcher by Raman Prinja begins with information about the sky. What do we see and what are the differences between stars and planets are some of the things answered. This book comes in a plastic zippered cover to be able to protect the book while you are out sky watching. It gives so much information about what one sees in the night sky including history and how to tell what you are looking at. Now Steven is our space expert at our house and has a telescope. I have been hoping to get a clear night at my parents with him to use the telescope (it is much darker at my parents then here since they are further from city lights). We haven't had one yet. Every time he is there for a night it is cloudy and/or rainy. Ugh! However I did have him look at this book and he thought it was great!! It will be added to his book shelf to help Hazel learn astronomy. It is the perfect book for at home astronomy lessons!! 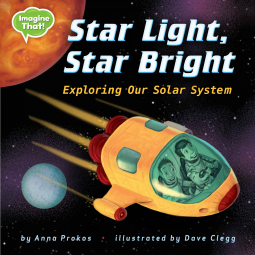 Next we look at Star Light, Star Bright by Anna Prokos and illustrated by Dave Clegg. 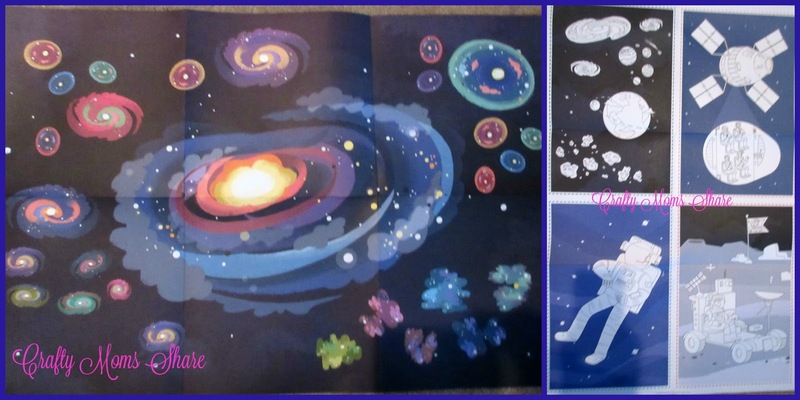 This book is not released yet but it introduces our solar system in a fun way. Two boys are camping out in a back yard and see a shooting star. They make wishes and the next thing they know they are in a rocket traveling from planet to planet. The book tells a small bit about each planet as well as teaching the order of the planets. It is a wonderful introduction and a fun way to learn a bit about space. 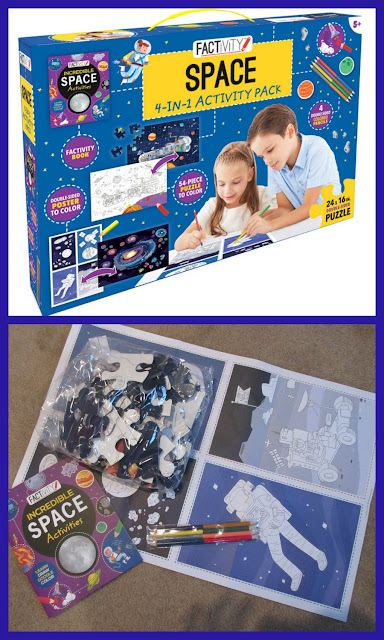 Space 4-in-1 Activity Pack by Factivity contains a double-sided poster and puzzle, an activity book and colored pencils. 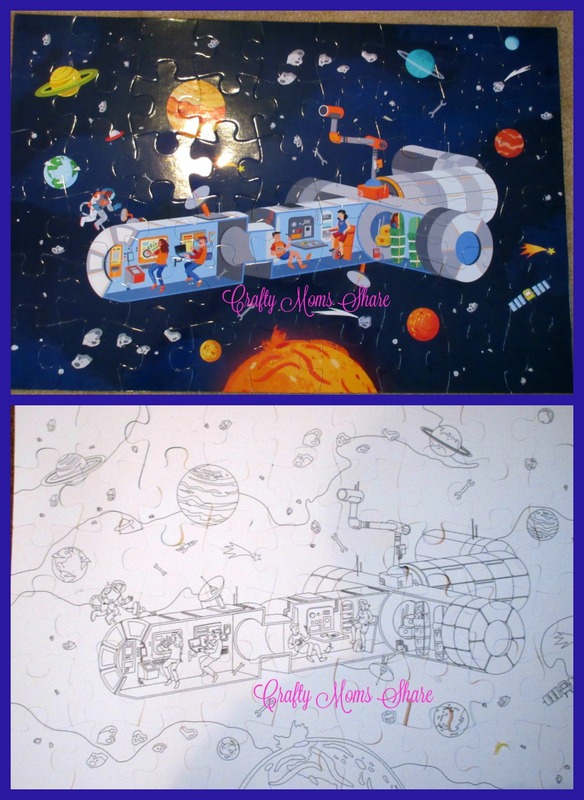 The poster and puzzle each have a side in full color as well as one to color in. 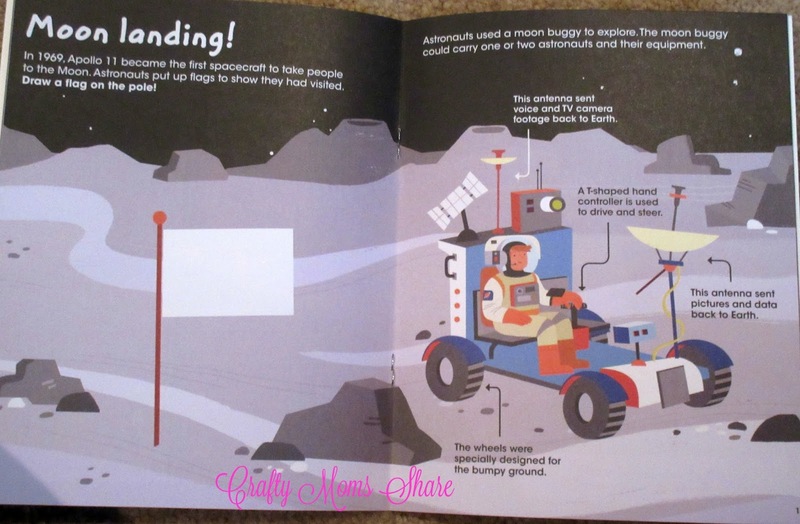 The activity booklet has information as well as activities like coloring in parts, mazes, finding pictures, and more! 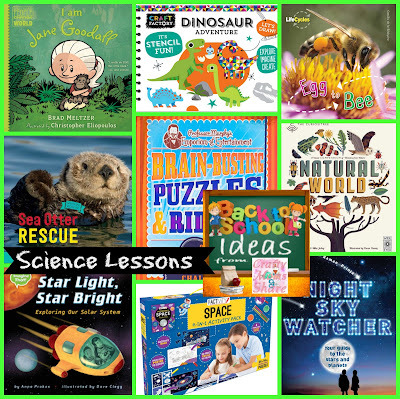 It gives information about space travel, the International Space Station, solar system, galaxies, and more! It is a great introduction to how people have traveled and continue to travel to space. So these are our science resources for today. I am putting away some of them for later in the year. I know Hazel's class looks at bees and space in their science units this year! Stay tuned for some more fun science and other lessons.